Presidential Assassin or Future Saint? 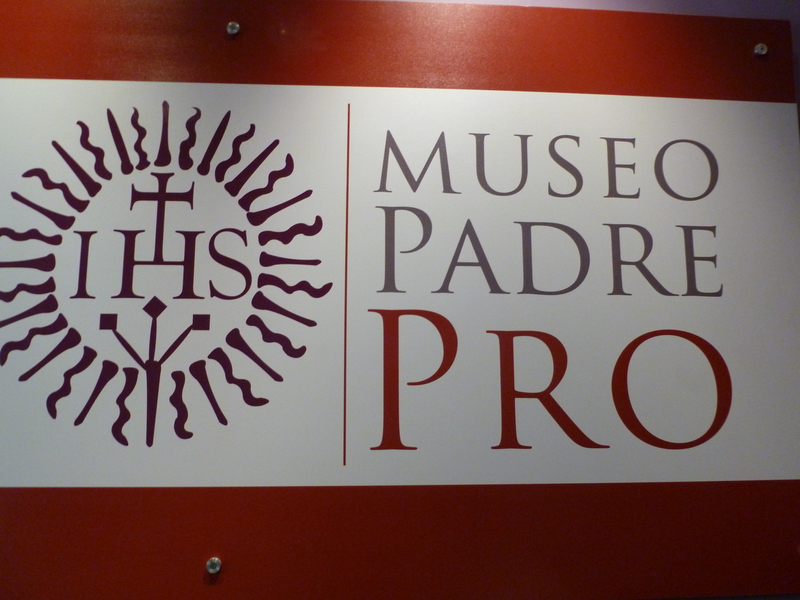 Tucked tucked away in the Colonia Roma district of Mexico City, for very defined interests, the Museo de Padre Pro (Museum of Father Pro) showcases the life of a very controversial figure in Mexican religion and history. 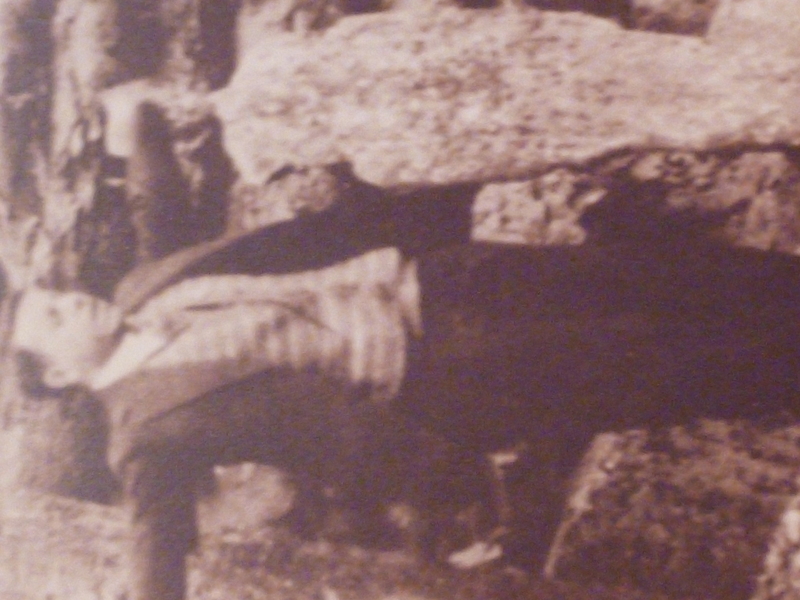 Father Pro was a charismatic Jesuit priest who studied and lived in the United States, Spain, Belgium and Nicaragua before repatriating to Mexico in 1926. Unfortunately, he returned to a nation convulsing in the bloody Cristero War. 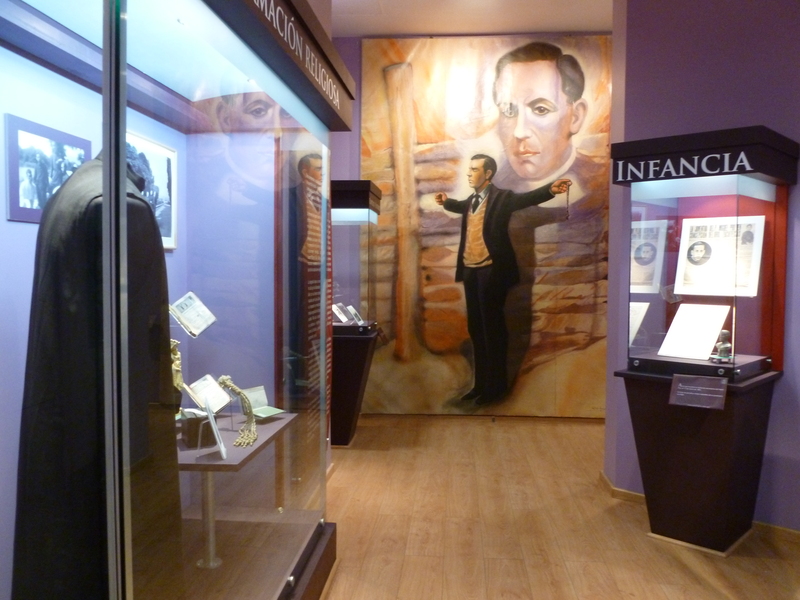 The dubious relationship between Miguel Agustín Pro and the assassination of President Álvaro Obregón is addressed face on in this permanent exhibit. Mexican history is not easy to understand, and this chapter of Mexican history, in particular, is a complicated one. It was President Benito Juarez who separated Church and State over 150 years ago, but this mandate was not easily enforced. Even with the last and current Constitution (of a series of 6! ), the government continued to view the Catholic Church as a foe. 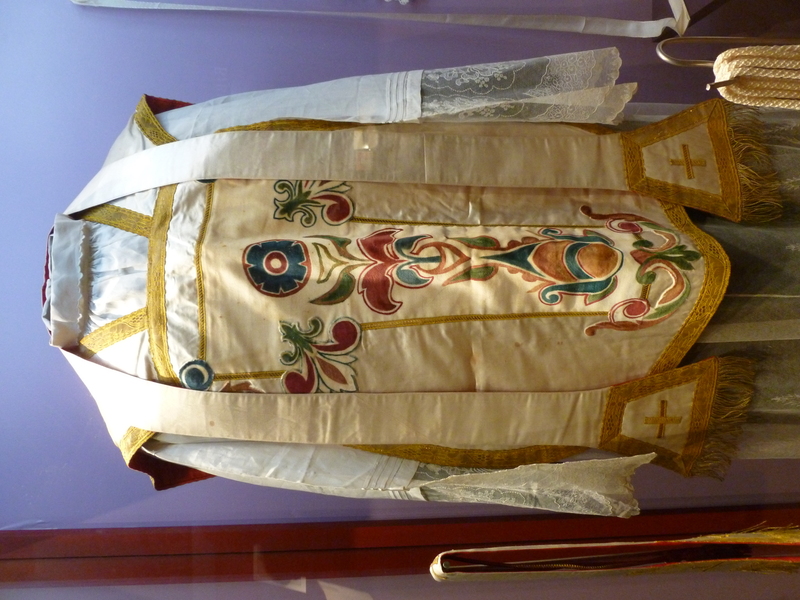 The framework of that Constitution, when passed in 1917, clearly forbade religious instruction in schools (Article 3), prohibited public worship outside of ecclesiastic buildings (Article 24), restricted religious organizations the right to own property (Article 27), and went to the extreme of stripping priests, ministers and rabbis the freedom of wearing religious garb in public, participating in politics and even commenting on government policy (Article 130). These restrictions were repealed only recently, under the government of President Ernesto Zedillo in 1998, to be specific, but it is important to note that these anti-clerical laws were strictly enforced when Father Pro returned to Mexico. Plutarco Elias Calles, Mexico’s President between1924-1928, cracked his whip on the Catholic Church, by implementing even more rigorous legislation than that stipulated in the Constitution, under the guise of the so-called “Calles’ Laws,” thereby limiting clerical civil liberties such as the clergy’s right to vote or receive trial by jury. Father Pro was a warm, caring priest, sympathetic to religious factions. He held mass in secret and became a social activist helping hundreds of impoverished families financially and spiritually, thus falling into Calles’ disfavor. Pro was eventually linked to President Obregón’s assassination in 1928, when, according to Museum information, his brother Humberto, sold his car, which was used as a get away vehicle by the assassins of Obregón. To his misfortune, Humberto had forgotten some personal papers in the glove compartment of the car, linking him directly to the murder scene. Given Pro’s antagonistic relationship with the Calles government, the President arrested him along with two of his brothers, accusing them of sabotage and terrorism. Father Pro and his brother Humberto were executed without due process, within the framework of the Calles’ Laws – without a trial and without concrete proof involving them in the crime (their brother Ramon, who was not clergy, was released). Calles, in order to send a message to religious activists, went to the extreme of carefully documenting the police firing squad execution, photographing the details of the event and printing the pictures in the national press the following day. Father Pro was vindicated, at least by the Catholic church, when he was beatified by Pope John Paul on September 25th, 1988, on the anniversary marking his execution. His remains are deposited to the right of the main altar of the church adjacent to the museum, the Sagrada Familia, an emblematic landmark in Colonia Roma which was built when the then fashionable neighborhood was being urbanized roughly a century ago. 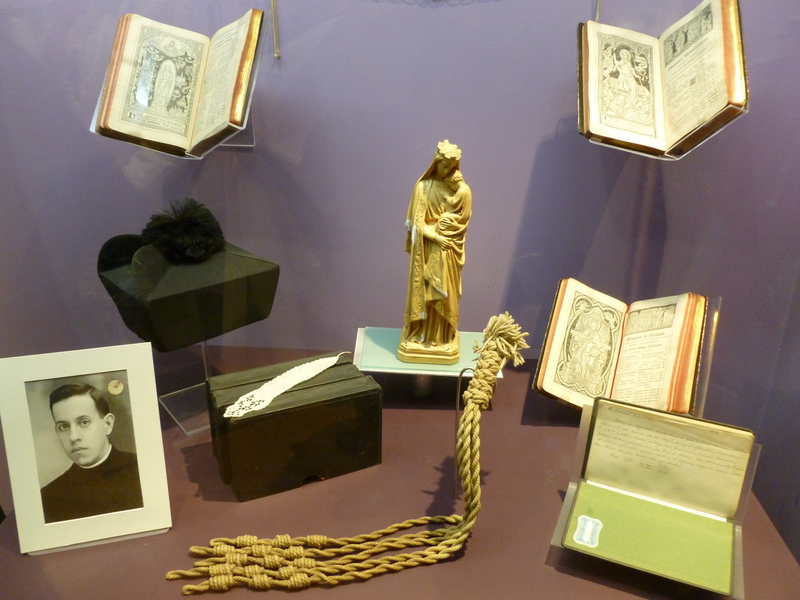 This museum appears to me to be doubling as the official platform to promote the cause of Pro’s sainthood. There is a wide discrepancy in the number of lives reported lost in this oft forgotten chapter of Mexican history, with estimates running between 90,000 and 250,000 depending on the source. Guilty or innocent, there is finally a museum in Mexico City which recalls the tragic ending of Pro’s life and pays tribute to the thousands who died on both sides of this little-talked-about war, assuring that the Cristero War and the people who lost their lives fighting for freedom of religion, will not be forgotten, regardless as to whether Pro is sanctified or not. Blessed Miguel Pro, you are even known in Norway! You have touched many hearts, thank you! Reblogged this on little brother Roy and his Papa.